Now is the time to travel to the country of Georgia, an incredible emerging travel destination that is still at the beginning of a tourist boom. This Georgia travel itinerary and guide will give you the basic information you need to know to make the most of your trip to Georgia. I’ll summarize various destinations and highlights in Georgia, including information like where to go and what to do, and then suggest several options for your Georgia travel itinerary depending on the length of time you have. For more inspiration for your trip to Georgia, check out my post on 9 Incredible Places to Visit in Georgia (Europe) and 10 Incredible Things to do in Georgia (Europe). 3 How Long Do You Need to Travel Georgia? Travelers to Georgia will find a culture that has been welcoming visitors since the days of the Silk Road. With majestic landscapes, delicious and unique cuisine, vibrant nightlife, and endless outdoor activities, the country of Georgia offers something for every traveler. I’ve been over 65 countries and when people ask which is my favorite, I often respond “Georgia!”. There are a lot of incredible places in this world, but I’ve yet to find one that encapsulates as many experiences into a single place as the stunning country of Georgia. I loved Georgia so much that I stayed for almost a month and have seriously considered living there long term (Georgia makes it really easy, offering many nationalities an incredible 360-day long visa). Simply put, if you have the opportunity, go to Georgia and go now! I promise you won’t regret it. Though Georgia is a small country, its climate varies considerably among its various regions, owing to the huge changes in elevation that you’ll find within this Caucasian country. While you can visit the country at any time of the year, most visitors will find it most pleasant between April and November (which is of course also high and shoulder season in the rest of Europe). The capital city of Tbilisi — which receives by far the most tourists in the country — is a pleasant place to visit year around, though some may find the temperatures too cold from December to February. The Black Sea resort of Batumi also has a pleasant climate and can theoretically be visited at anytime. 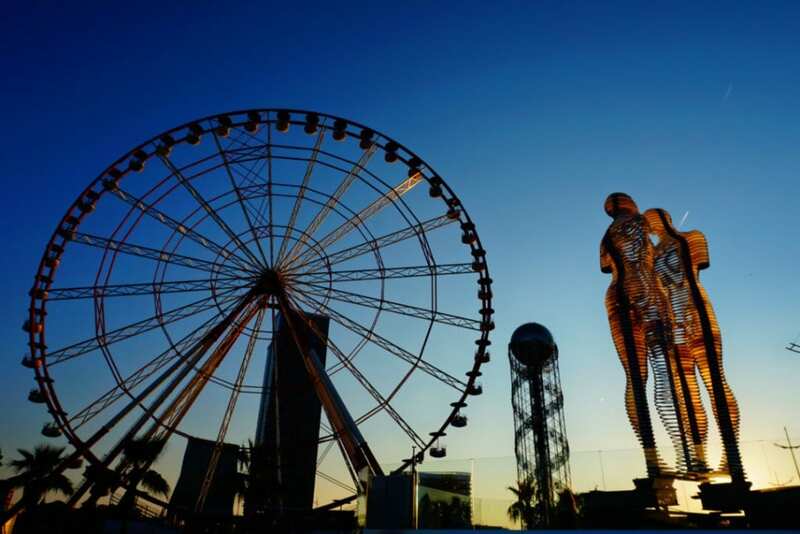 With that said, there is a marked season for visiting Batumi, with an influx of visitors from June to August, when sunbathers line the shores of the Black Sea and Batumi’s clubs pulsate through the night. Outside of this period, you may find that the city feels a little empty. If you plan to do any serious hiking or trekking in Georgia, plan your visit for the summer months, as Georgia’s mountain passes can be closed off by snow even as late as early June. How Long Do You Need to Travel Georgia? 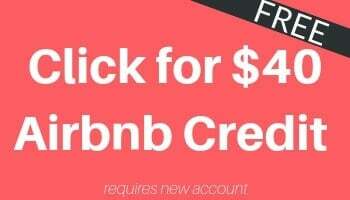 This is a difficult question to answer as the answer will be different for every traveler depending on their time and financial resources, as well as their travel goals. Personally, I would recommend allotting at least one to two weeks in Georgia. But, fortunately, it’s possible to craft a solid Georgia travel itinerary of just about any length (see below for suggestions). If you only have a few days, Tbilisi’s strategic location still offers you the chance to sample the countryside via day trips. If you want to explore the country in more depth, however, Georgia’s many isolated mountain communities and diversity of options can keep you occupied for a month or more. When deciding on a Georgia travel itinerary, you are spoiled for choice. There is so much to see that it can be hard to choose. But here’s a summary of some of the more popular highlights. While most of these places are easy enough to visit independently, if you prefer to sign up for tours, you can explore a number of tour options here. Tbilisi – Georgia’s capital is likely to fit on every itinerary and, for some, may be the only place they stay in Georgia. The city offers first-class services, including accommodation options ranging from high-end hotels to budget hostels, as well as excellent dining and nightlife. Oh, and there are a ton of great things to do in Tbilisi. Don’t miss a walking tour of the charming Old Town (or, alternatively, explore Tbilisi’s Soviet architecture). Batumi – This resort town on the Black Sea is part Singapore, part Atlantic City, part Dubai — but much smaller than any of those. Quiet for most of the year, Batumi comes alive in the summer, when beach bums lay out on its kilometers of endless pebbles and party-goers flock to its throbbing clubs. Svaneti – My favorite area of Georgia, Svaneti is a magical region with its own unique culture and a fierce people who have somehow fought off some of the largest armies in history. 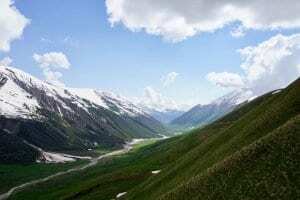 Nestled high in the mountains, Svaneti isn’t easy to reach unless you can snag one of the few subsidized flights from Tbilisi. Kazbegi – The Trinity Church stands high on a hillside in front of Mount Kazbegi, overlooking this charming region in the northern part of Georgia. Though it can be visited as part of a day trip, staying a night or two will let you soak in the culture — and take a few hikes through the inviting landscape. Kakheti – The region to the east of Tbilisi is most famous for one thing: wine. If you’re a lover of the vino, you’ll definitely want to visit one of the many vineyards and wineries on offer here. History lovers might also enjoy a visit to the David Gareja monastery complex. Kutaisi – Georgia’s second capital is home to its legislature, a number of gorgeous churches, and a growing food and dining scene. Though much tamer than Tbilisi, Kutaisi is still worth a visit if you have the time, or if you have to fly in or out of here on one of the increasing number of budget flights headed here. Abkhazia – Ok, so the first thing you need to know here is that even calling Abkhazia part of Georgia is a bit controversial. The area considers itself an independent nation and, since the Russian invasion in 2008, has been functionally separate from the rest of Georgia. But most countries still consider it part of Georgia and, if you are brave enough to be one of the very few travelers to go here, it can be very rewarding. Check out my guide on what to do in Abkhazia for more information. For more information and further inspiration, check out my post on places to visit in Georgia Europe. With only three days in Georgia, you’ll likely want to stick to Tbilisi and use it as a base for day trips. If you arrive in time, take a walking tour of the Old Town. 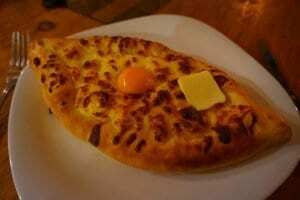 Either way, in the evening enjoy a your first dish of khachapuri and some Georgian wine in the Old Town. Take one of the many organized tours on offer in Old Town Tbilisi to Kazbegi. 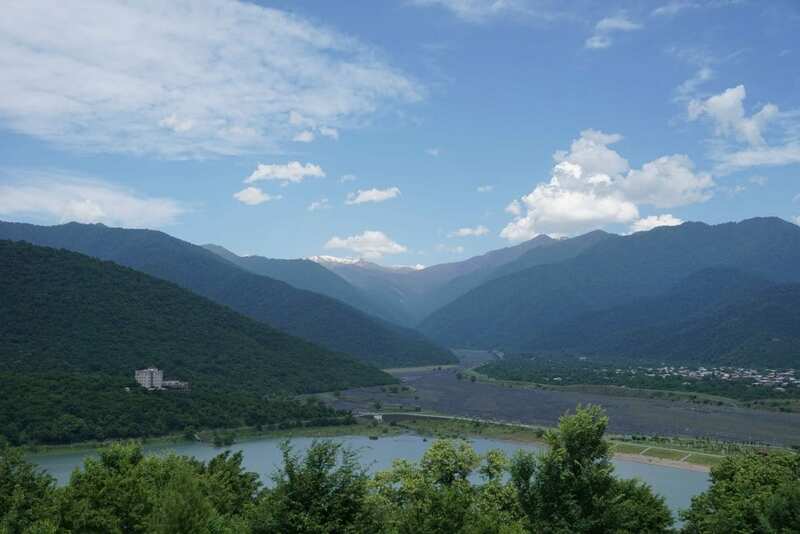 Highlights include the Trinity Church and a stopover along the way at the Ananuri fortress. 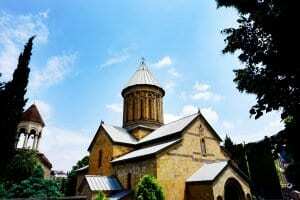 Explore the Kakheti region as part of another day trip. Opt for a wine tasting tour if you’re in the mood to imbibe, or a trip to the David Gareja monastery complex if you’d prefer some history. Back in Tbilisi in the evening, end your night with a cocktail at the excellent Rooms Hotel. A full week in Georgia offers you more of a chance to explore what the country has to offer, and a chance to get outside of just Tbilisi. Explore the Old Town on foot one day, and take a day trip to either Kakheti or Kazbegi the other day. On day 3, make the journey to Mestia. If you can book far in advance, catch a flight there. Otherwise, settle in for the long 8 hour bus ride. It’ll be well worth, I promise. On day 4, hire a 4×4 to take you up to the magical village of Ushguli for an overnight stay. After a long bus ride to Kutaisi, enjoy a night of fine dining in town. The next day, get up for a tour of the incredible history in the area. Arrange in advance to fly home directly from Kutaisi or head back to Tbilisi for your return flight. Catch a bus from Mestia to Batumi (likely with a change in Zugdidi). You’ll get to Batumi in time to watch the sunset light up the moving statute of Ali and Nino. On your second day in Batumi, explore the Botanical Gardens and take a boat ride to see the skyline from the water. Take the modern, 4-hour train directly back to Tbilisi. You’ll arrive in time to enjoy another night of great dining in Tbilisi. If you have time before your flight, take one last day trip – either to Kazbegi or Kakheti, whichever you missed on the front end. Now we are talking! With two weeks, you really have a chance to soak in Georgian culture! Take your time to explore every facet of this charming city. If you get bored or are eager to check out the wine, take a day trip to Kakheti. 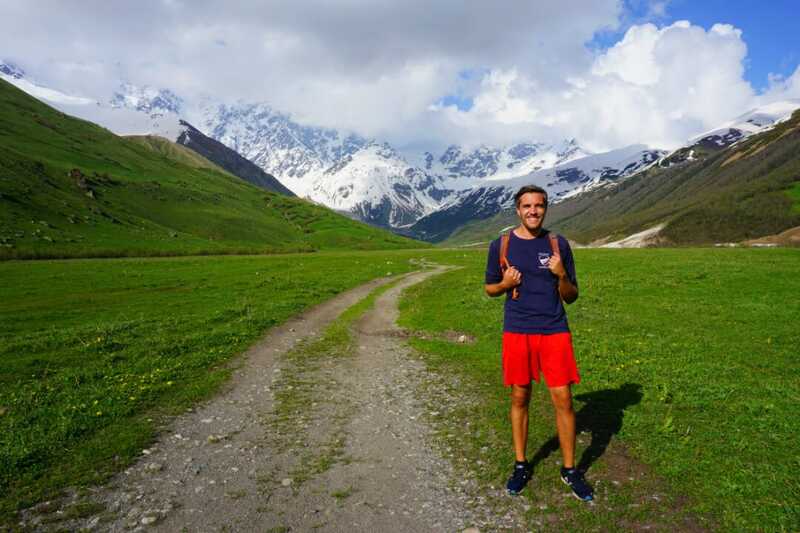 Head on up to the Kazbegi region and find a nice guesthouse or homestay so that you can begin to get a taste of mountain life in Georgia. Hike up to the Trinity Church early one morning to beat the crowds. Make your way down to Kutaisi for a night, allowing you to break up the journey around the functionally independent area of South Ossetia to Svaneti. Take a minibus up to Mestia on Day 7, then work your way up to Ushguli for a couple nights of stunning hiking and tranquility. Return to Mestia on Day 10 to allow yourself to acclimate back from mountain life back to modern society. Enough of this peace, nature, and tranquility – it’s time to get your party on. Spend your days soaking in some summer rays and your nights celebrating over a few shots of chacha – a powerful brandy liquor that will leave you reeling in the morning. 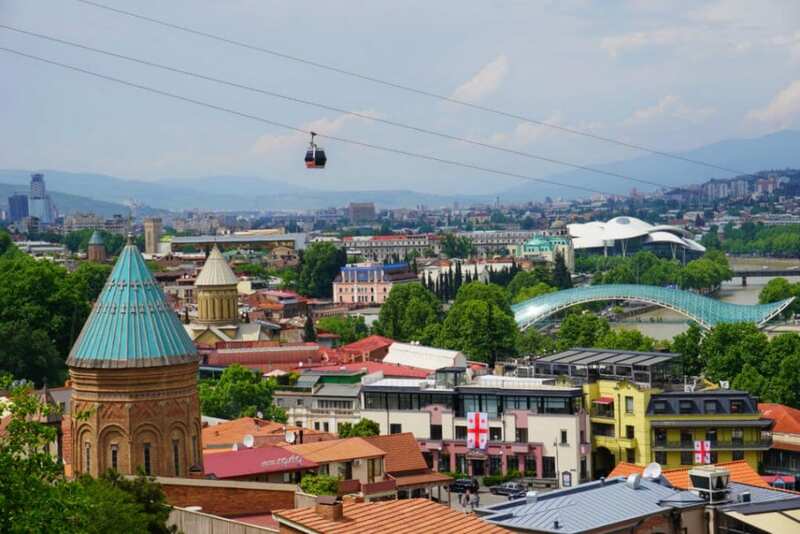 Return to Tbilisi via train, or Kutaisi via minibus to catch your outbound flight. You saved some chacha for the flight right? Congrats on making the excellent choice to give Georgia the time it deserves. With three weeks or more, you should be sure that you cover all of the Two Weeks in Georgia itinerary. But you’ll also have time to slow down a bit along the way, as well as to add one some truly once-in-a-lifetime experiences. Extend your time in Svaneti to a week and do the classic trek from Mestia to Ushguli. It takes four days to do, and is only available during the summer, but receives rave reviews. Brave a visit to Abkhazia – This isn’t an endeavor that’s right for every traveler, but I had an incredibly memorable experience in Abkhazia. You’ll need to arrange a “visa” in advance and be sure that you’re aware of the latest safety situation there. 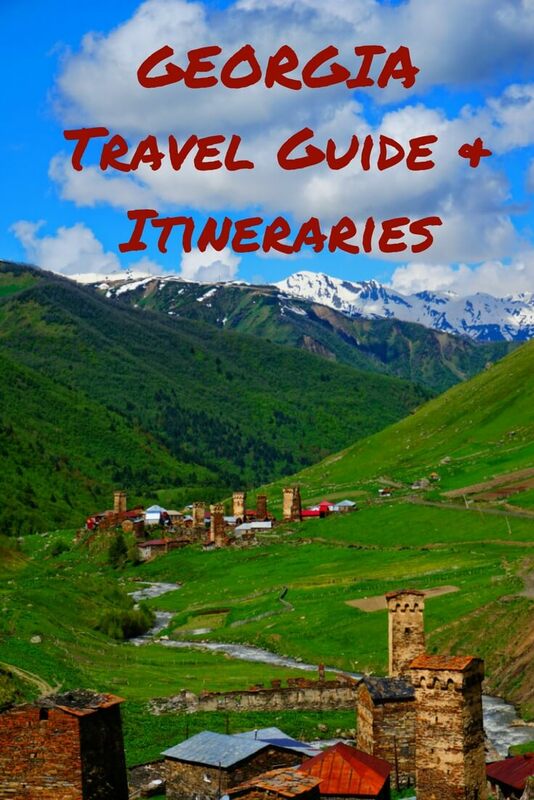 Check out my Abkhazia Travel Guide for more info. Georgia is a compact country and is relatively easy to get around. But the winding mountain roads can make for some lengthy travel times. Train: there is a modern train connecting Batumi and Tbilisi. Trains are also available for onward travel to Armenia. Plane: The Vanilla Sky airline offers seasonal flights from Tbilisi to Mestia. They are cheap, but require booking far in advance. Marshrutka: These are essentially shared taxis that locals used to get around long distances. They often wait to leave when full, but can be an economical way to get around Georgia. Minibus: The most popular way for many tourists to cover long distances, these are more comfortable and predictable than marshrutkas. Your guesthouse, hotel, or hostel should have information on timetables. Taxis: Within Tbilisi and Batumi, taxis are an affordable option to get around. Uber is available in Tbilisi. Language in Georgia: Georgian is the official language in Georgia. Much of the population speaks Russian, owing to its time as part of the USSR. But English prevalence is growing quickly, especially in Tbilisi and with the younger generation. Money in Georgia: Georgia’s currency is called the Lari (often abbreviated as “GEL”). As of the time of this writing, 1 USD buys about 2.5 Laris. Note that in Abkhazia and South Ossetia only Russian rubles are used. The 2008 Russian Invasion: In 2008, Russia and Georgia engaged in a small-scale but tense war. As a result, today Russia essentially occupies the areas of Abkhazia and South Ossetia. The war is still very fresh in the memories of many Georgians, and is a major reason why its tourism industry is only now starting to boom. How Much Does it Cost to Travel Georgia? : Georgia is an incredibly affordable destination by European standards – an excellent example of a country where you can travel the world cheaply. Even in Tbilisi, the most expensive part of the country, it’s possible to find a hostel bed for 10-15 Lari, and a quality budget hotel room for 60-70 Lari. Dinner even at a restaurant often runs less than 10 Lari, while a beer can be had for a few Lari. Need help or have questions about crafting your own Georgia travel itinerary? Leave a comment and I’ll do my best to help! Thank you for all the information on Georgia, If you only have 2 weeks and want to also travel the silk route, what do you recommend to do and how many days in each place? I think I would like to go to Baku as well. 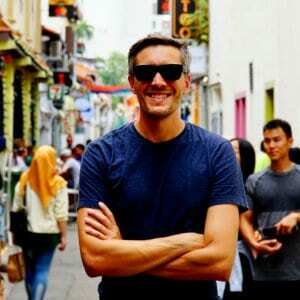 Is it safe to travel 2 women alone? or should we get on an organized tour? i really don’t like big crowds. Many thanks for your help. Georgia is generally very safe and I saw lots of solo female travelers there. I’ve not been to Baku, but I have heard it is safe as well. For an itinerary, I’d really suggest getting up to the mountains! Svaneti if you can! Definitely no crowds there. Between Baku and Georgia (maybe Tbilisi, Kazbegi, Svaneti), that’s already a pretty full two weeks. But you could also add in Yerevan if you were intent on covering a bit more. What an exciting adventure. Please do keep me updated and let me know if I can help.